Is the Boogeyman coming back? Post subject: Is the Boogeyman coming back? So I picked up a bunch of my comics. I was reading them in order and it appears to me that all the little teasers point to the Boogeyman coming back! The Annual has the Sandman wanting Egon because he doesn't sleep. The Vol. 3 description for Egon makes a point of mentioning his sleep patterns. Vol. 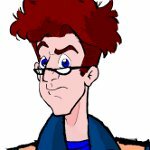 3 has Egon researching something, something from before he was a GB, and it makes him irritable to be asked. Maybe because he doesn't want to admit his fears to his friends. Then at the end of one of the comics it mentions the plot summary with Egon and teases that it is a HUGE plot point! I am so excited thinking this is coming! Post subject: Re: Is the Boogeyman coming back? The thought occurred to me, but you said it "out loud" first so you get the credit if you're right. I was reading them in order and it appears to me that all the little teasers point to the Boogeyman coming back! It could be... Although, if it was the Boogieman, would he need to take on such thorough research in it? He's been looking at the expanded Spates Catalogue, 3 volumes of Kemp's Paranormal Encyclopedia, the citywide PKE levels for the previous six months, and the Johansen Argument. It seems as if it's something truly puzzling for him to to be researching to that extent. If it was the Boogieman, surely he would already have some knowledge of it? Personally, I'm more interested in seeing some new insight into Egon's past, and not something he's come up against before. We've seen him deal with the Boogieman in RGB, as Fritz has illustrated. The Boogieman has also featured before in the IDW ongoing (IDW ongoing Vol. 2, issues 1-4 'In The Box'). Also, we've only just seen the IDW interpretation of the RGB Sandman in the Annual. It might be too much to be following RGB too tightly by going straight from the Sandman to the Boogieman. But who knows? I may be completely wrong. I normally am. So then, Nikki, what is your alternate theory? They say it is a plot point, so it's big. Wow! This one just keeps getting better and better! I just saw the preview for issue #3. It mentions Egon having previously researched a Draugr. Which it an undead Viking creature, controlled by the goddess Hel (remember Janine's Viking relatives? These creatures are a type of boogeyman who can inhabit the dreams of a heroic figure, or someone they are jealous of, as a way to haunt them. They literally want to scare this person to death for revenge. So awesome! I see an E/J story coming out of this! I really do! Whatever this is, it's nothing we've seen before. It's all new, which is kinda exciting. I'd love it if there was an E/J story coming out of it, but I've got my doubts. I really, really hate to be the Debbie Downer of the thread, but I'm hugely sceptical of IDW going into E/J territory. Burnham's given us plenty of hints in various interviews that he won't be going there. There's always hope, and I would really love it if they went there. Or at least gave us a few panels where they had a freaking conversation, but so far, nada. Like I said, I'm usually wrong. I hope I am. But Kylie seems to be Egon's go-to now, and he's off on his own research adventure while Janine's busy recruiting.... It doesn't seem to me like there'll be much opportunity for E/J interaction in the near future. In #4 he's researching Poveglia with Kylie, and in #6 he's with Kylie and Mel in Puerto Rico, and I think in later issues he joins up with the guys again on their 'Ghostbusting World Tour', so the chances of anything E/J happening are scant. He may not even know that Roger's moved away, and might think Roger and Janine are still dating. I wonder if the first volume was more of a Peter pairing story arc (with various mentions of Dana and a date with Mel), the second volume was obviously the Winston pairing story arc (Tiyah), and judging from the first couple of issues this third volume might be the Ray pairing story arc (Jenny Moran). Seems like it's kind of obvious that she's going to be a player in the storyline coming up by how she's gone from barely being mentioned in previous volumes to having a character bio every month. Maybe Egon and Janine will be the pairing in the fourth volume (if there is one)? Thanks for keepin' it real Nikki. Lol. With my track record of predictability, Egon and Janine'll probably be snogging by the end of issue #15! God, wouldn't that be just fantastic?! Burnham's read this board before, so he knows there's an audience. But yeah, I think at least some of the issue is coming from several levels above him. I'd hoped that Ramis's death and the reboot might open things up a little bit, but I guess with Aykroyd, Reitman, and Ghost Corps there's still the hope that some projects set in the GB1/GB2 continuity will be made, so the guys at IDW can't rock the boat as much as we (or they) would like. Funny that Sony can sign off something so drastic (and potentially unpopular) as a total reboot of the GB universe with female characters, but doing something worthwhile between two of the established original characters? Nah. Too much of a gamble... lol. It would be interesting if it did. It might link in somewhere. I did wonder how exactly Janine's storyline would fit in with the International theme. I thought that she wouldn't really have a storyline, and it would be more focussed on the guys doing their tour of various different countries with Vinter as their 'puppetmaster' while Janine stayed back at GB HQ and made coffee for the new recruit(s). It might be worth mentioning that Vinter is Scandinavian, and with Egon's research focussed on the Swedish Draugr this seems to be where the main storyline seems to centre. His PKE meter 'pinged' as he was being taken into the Ambulance after being injured in issue #1, and the only thing that could have caused it to react at that time was Vinter. I'm very interested in Ray's Tarot reading. The Tower Card means there will be a great revelation which will shake the foundation of their sense of security and/or forces them to question strongly-held beliefs, perceptions, attitudes and behaviours. It may affect them spiritually, mentally and physically. It is often descriptive of a major upheaval, disruption, emergency or crisis, and is likely to bring chaos in the aftermath of such an event. Basically, a BIG DEAL. Burnham himself has used the hashtag #revelationSOON, when referring to issue #6. This 'revelation' could either be specific to Ray as it was his own reading, and with Jenny around I'm kind of thinking it might be, or it might relate to them all as a collective. It might, might, might have repercussions with Egon/Janine, but I'm being very, very tentative about that. I'm more inclined to think that it would refer to Ray and Jenny somehow.